China has been stepping up its maritime combat readiness, according to analysts responding to official reports that the People's Liberation Army (PLA) had staged at least three naval drills over the past week. 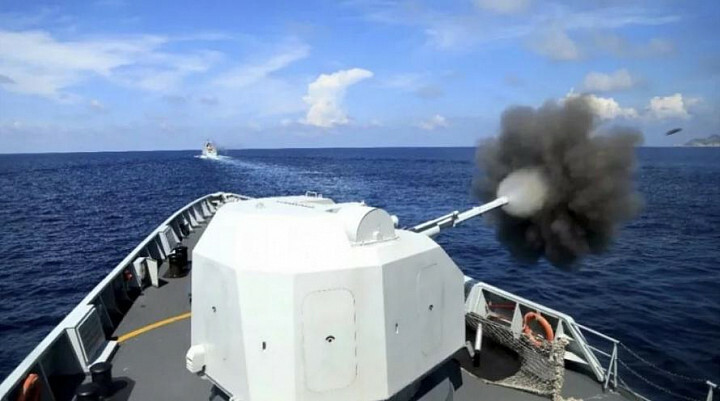 On Monday, the Southern Theatre Command acknowledged over social media that a frigate fleet had recently performed drills - including simulated anti-submarine attacks and live-fire exercises, aimed at putting PLA forces through increasingly complex and realistic training scenarios. The command, which is one of five such units established by President Xi Jinping to represent China’s five strategic locations, did not disclose the locations of the exercises, but its area of responsibility encompasses the disputed South China Sea. 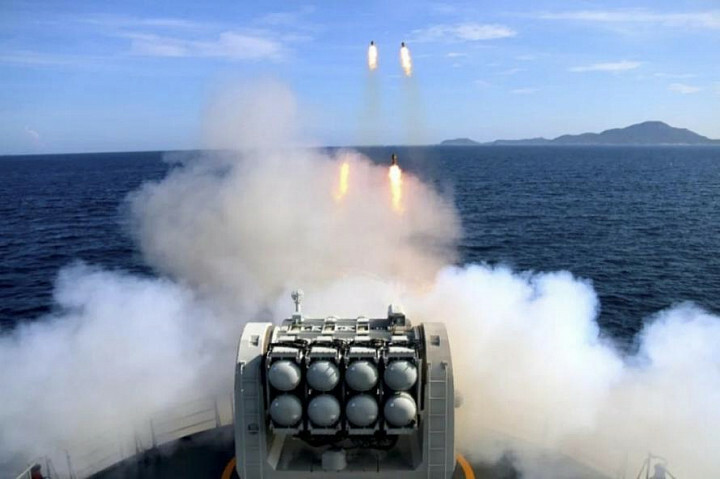 Xinhua news reported on Saturday that over 10 warships from three theatre commands participated in a large-scale missile and air defense exercise in the East China Sea. Anti-air attack missiles were fired from two corvettes - the Meizhou and the Tongren, to intercept simulated "enemy" targets, while serving under the command of guided missile frigate Jingzhou - which observed and gathered data. The third drill took place in the Yellow Sea between Friday and Monday, according to China's Maritime Safety Administration - which did not release any more data than the location. Some observers have speculated that the exercise may have included China's first domestically produced aircraft carrier - the Type 001A, due to the drill's proximity to Quingdao - the ship's home port in the eastern China province of Shandong. The exercises come amid a growing trade war between Washington and Beijing - as well as China's turbulent relations with Taiwan. On Sunday, Taiwan President Stai Ing-wen embarked on a nine-day trip to Belize and Paraguay - two of just 18 nations which still maintain diplomatic ties with the island nation. "The anti-air and anti-missile exercises in the East China Sea are intended to ensure a safe environment for China’s aircraft carriers, which means an aircraft combat group is preparing to go further out to sea," said military observer Song Zhongping, who added "It sends a very clear signal to Taiwan’s independence forces and deters any intervention into Taiwan affairs by the US or Japan." Meanwhile, military commenter Li Jie said that in the event off armed conflict between Beijing and Taipei, the East China Sea would be a primary battleground. Jie said that Beijing would not sit idly if it thought it was being provoked in the region. “Although Sino-Japanese relations have warmed recently, China is still very suspicious of Japan’s military development and needs to prepare,” he said. 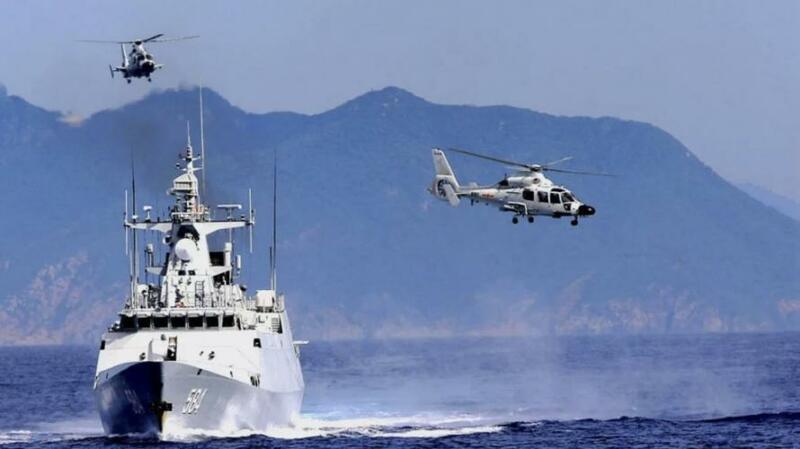 Beijing military expert Zhou Chenming added that the three drills were designed to test China's naval capabilities following a sweeping program of military restructuring and modernization. "Through the drills that replicate war scenarios, military authorities can better understand whether the navy needs more equipment, and also test the compatibility of its old and new weapons," he said, adding "Most importantly, it can see whether the [navy’s] combat capability has been strengthened or not."